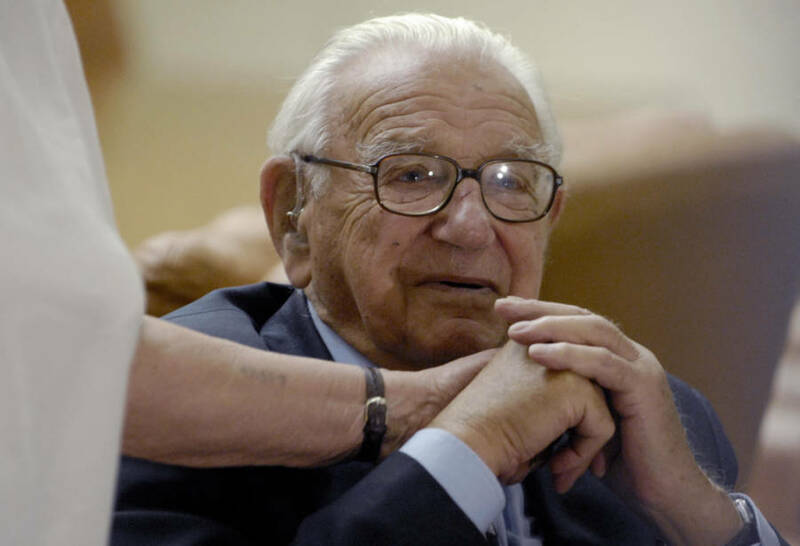 Nicholas Winton rescued at least 669 children from the Nazis and kept it relatively quiet for nearly half a century. Yad Vashem Photo Archives/United States Holocaust Memorial MuseumNicholas Winton holds a rescued boy being taken from Prague to London in early 1939. The Maidenhead voters, along with virtually anyone beyond Maidenhead’s borders, may have given this line little notice. Yet those eight words contained a heartrending, inspiring story of courage, cunning, and selflessness. 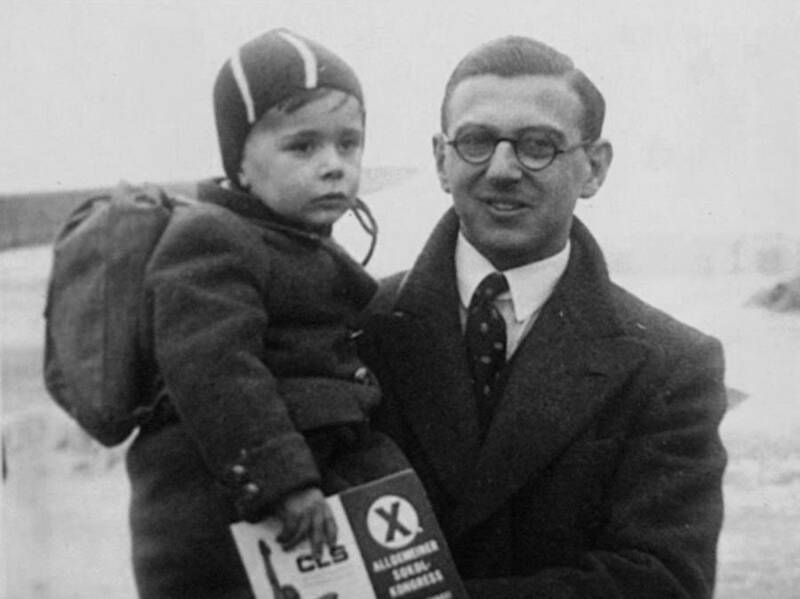 Between December 1938 and September 1939, with World War II looming, Nicholas Winton and his associates managed to save at least 669 children from the Nazis in Czechoslovakia. But you’d never quite glean that from its oblique mention in Winton’s campaign leaflet 15 years later. Likewise, it would be a further 34 years before the international media spotlight would find Winton and bring him tributes, statues, and nicknames like “the British Schindler” — all of which Winton himself shied away from. It’s a stance befitting a man who believed, as he told the Guardian in 2014, that in the adage “Some people are born great, some achieve greatness, and some have greatness thrust upon them,” he fell in the final category. The event that spurred Winton’s rescue mission makes it somewhat easier to see why he placed himself in that category. Indeed, the story of his rescue mission began with a single phone call and a ski trip that never came to pass. MICHAL CIZEK/AFP/Getty ImagesNicholas Winton sits backstage at the Congress Centre in Prague on October 9, 2007 before receiving honors for his rescue efforts that saved hundreds of children from the Holocaust. 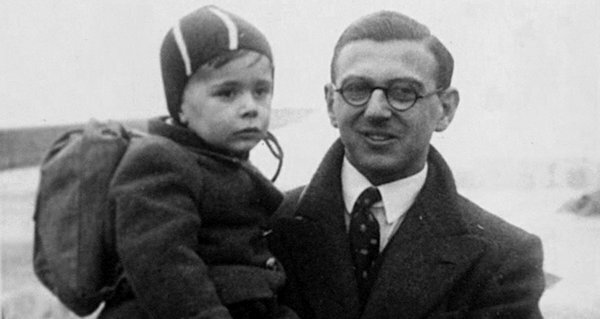 In December 1938, Nicholas Winton — then working as a stockbroker in London, to which his German Jewish parents had emigrated 30 years earlier — was set to fly to Switzerland for a ski vacation. But then, he received an unexpected entreaty from a friend named Martin Blake — and one that would come to shape the arc of Winston’s life. Already aiding the mostly Jewish refugees in the western region of Czechoslovakia that had just been annexed by Germany, Blake knew that things would only get worse. Thus he asked Winton to fly not to Switzerland but to the Czech capital of Prague instead. “On an impulse,” as The New York Times describes it, Winton agreed. “Don’t bother to bring your skis,” Blake said. And with that, Nicholas Winton was off to Czechoslovakia. He quickly found himself aghast at the conditions in the refugee camps and appalled at the thought that their inhabitants, due to European immigration restrictions for Jews, would likely never be able to migrate to safety abroad. For despite British efforts to pull child refugees (adult refugees were still restricted by British law) out of Germany and Austria, there was no such effort in Czechoslovakia, which was just then sinking into Nazi clutches. But Winton — along with associates including Blake and two other friends named Trevor Chadwick and Bill Barazetti — would not let the Czech children go overlooked. Winton and company then set up an office in Prague, where they took appointments with thousands of distraught parents. Each arrived in an attempt to arrange safe transport abroad for their children, knowing that if those arrangements could be made, they’d likely never see their children again. With so many parents lining up, the Nazis took notice and began following Winton and harassing him and his associates. But, time and again, quick thinking and a few well-placed bribes kept the rescuers’ operation afloat. This wasn’t the only time Winton resorted to slippery tactics in order to do the just thing inside an unjust system. With more than 900 outbound children registered on Winton’s list, it was time to secure their entry into England as well as residences there (with volunteer foster parents who put up about $1,700 as a kind of deposit intended to fund the child’s trip back to his or her homeland when the time was right). When the slow-to-respond British Home Office didn’t come through with the entry visas, Nicholas Winton and company would forge the documents. 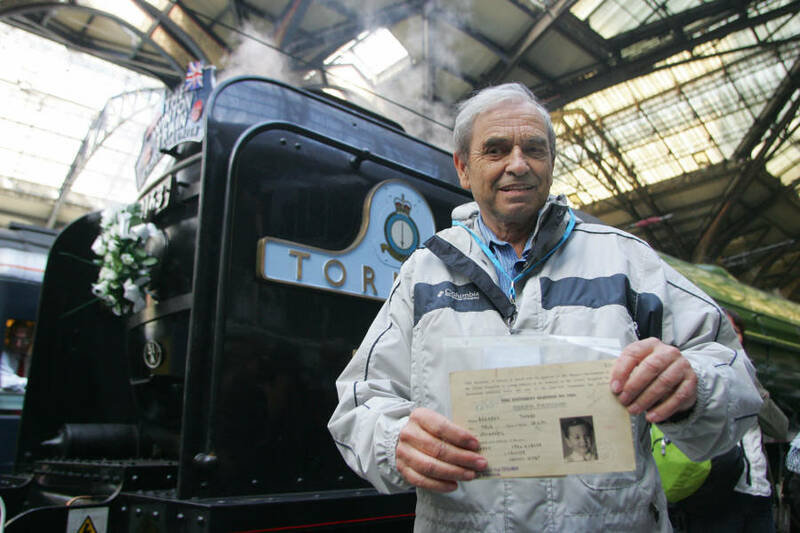 Geoff Caddick/AFP/Getty ImagesThomas Bermann, one of the children saved by Nicholas Winton, displays his original British identity document during the 70th anniversary celebration of the rescue efforts at Liverpool Street Station in London on September 4, 2009. No matter the challenges or legally dubious means, Winton and company managed to snap every piece into place by March 14, 1939, when the first train carrying rescued refugees left Prague. From there, the train traveled northwest through central Germany and into the Netherlands, where boats waited to ferry the children across the North Sea to England. That first train carried just 20 children. The following seven would carry many, many more. But as heartening as each train’s departure was, so too was it a tragic tableau of train platforms filled with sobbing parents saying goodbye to their own children and leaving themselves to the awful fate that their children were now escaping. Scenes like these would play out upon the departure of all eight Winton trains, the last in early August. The ninth was set to depart on September 1. However, it was on that day that Germany invaded Poland and World War II officially began. The storm that Winton and others like him had long seen coming had finally arrived. Its effects were swift and brutal. MICHAL CIZEK/AFP/Getty ImagesNicholas Winton holfs flowers given to him in tribute at the premiere of Nicky’s Family, a docudrama about his rescue efforts, in Prague on January 20, 2011. 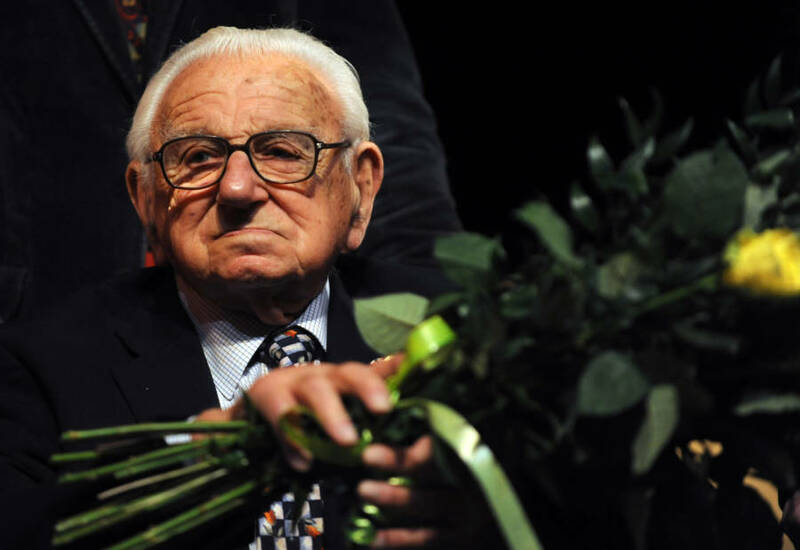 But while most if not all of those children — and as many as 1.5 million others — died during the Holocaust, Nicholas Winton’s legacy rests upon the 669 or more he saved. That legacy, however, took decades to fully come to light. Although Winton’s wife, Grete Gjelstrup, and a few others quite close to him knew of Winton’s deeds, he did not discuss them and certainly kept them out of the public eye. In 1983, for instance, Winston’s charity work for an elderly assistance organization granted him membership in the Order of the British Empire — not his actions during the Holocaust. That changed in 1988, when Gjelstrup rummaged about the family attic and found Winton’s hidden scrapbook filled with the names and photos of the children he saved. Winton brushed it off, even suggesting that she throw the scrapbook away. Not only did Gjelstrup not throw the papers away, she shared them with a Holocaust historian. This soon led to international media coverage and, over the ensuing three decades, a long list of honors and memorials bestowed upon him from several national governments (along with a planet, which two Czech astronomers named after him when they discovered it in 1998). Chris Jackson/Getty ImagesNicholas Winton meets Queen Elizabeth II at Devlin Castle Hotel in Slovakia on October 23, 2008. Instead of keeping the spotlight upon himself, Winton preferred to champion Doreen Warriner and Trevor Chadwick, his associates who remained on the ground in Prague after Winton had gone back to England. “I wasn’t heroic because I was never in danger,” he told the Guardian. Nevertheless, the tributes rolled in until his death at the age of 106 on July 1, 2015, the anniversary of the largest (241 children) of all the evacuations that he’d arranged 76 years before. Even today, new Winton tributes continue to emerge. Yet of all the thanks and honors he ever received, the one that still most captivates the public and best puts a human face on his heroism is the one that helped initiate the original media storm shortly after his wife found his scrapbook in 1988. The producers of the BBC program That’s Life had invited Winton to sit in the audience for a show without quite telling him why — or that some of the very people he’d rescued from the Holocaust as children a half-century ago would join him in the audience. Of course, when the reunion happened in that studio, one can’t miss the fact that Nicholas Winton stuck two fingers underneath his glasses to wipe away his own. 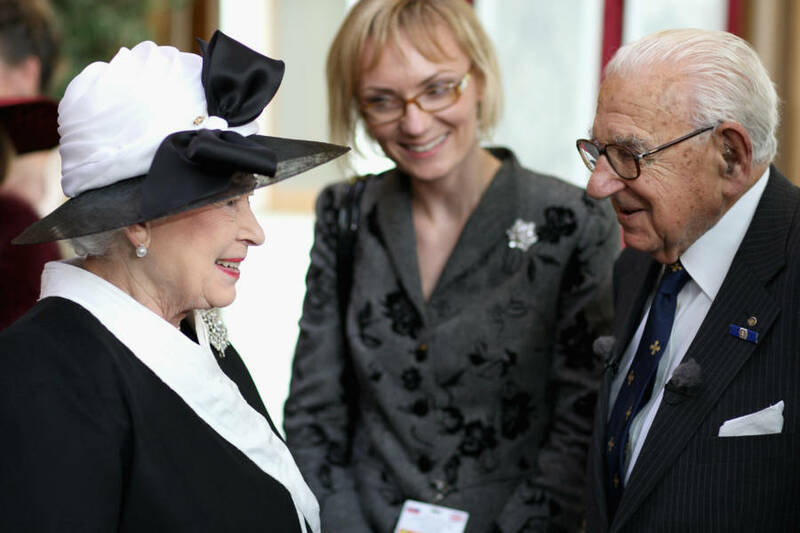 After discovering the heroic tale of Nicholas Winton, read the inspiring story of Gisella Perl, “The Angel of Auschwitz” who saved countless women inside the notorious extermination camp. Then, see 44 heartrending Holocaust photos that reveal both the tragedy and perseverance of this horrific episode of human history.